If you’re creating content without images, you’re missing a huge opportunity to increase engagement, reach a wider audience, and maximize conversions. We’re visual people, inherently drawn to content that contains rich, attractive images. 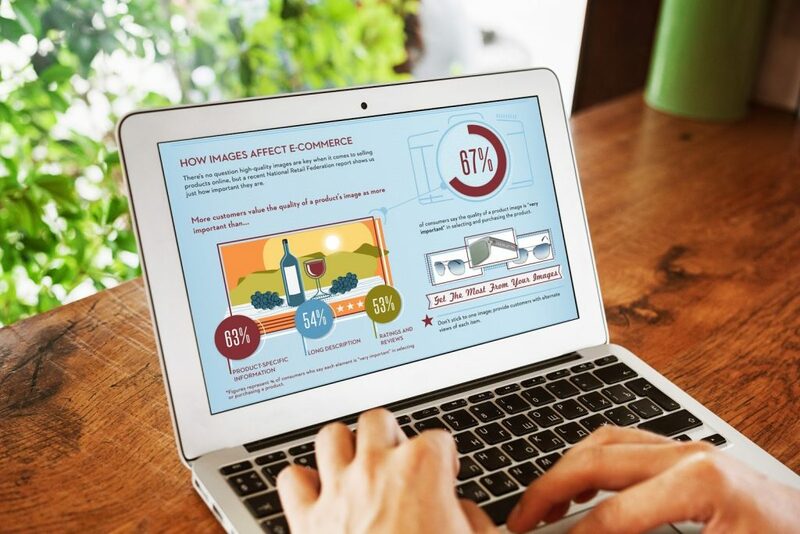 Adding images to an online article can nearly double its views, and 67 percent of consumers say images are more important than product descriptions when making a purchase decision. Of course, just throwing any image into your content won’t catapult it to the top of the search results. Images need to be carefully selected and high quality and they need to add true value to your content. They should be visually appealing, relevant, and appropriate for your company and the marketing channel. The following guide will help you choose the right image for your next project. How Do You Choose the Right Images? Does it convey your message? Any image you use should contribute to a reader’s understanding of your message. While click-bait companies may have some success using an unrelated image for their web ads, using an image that fits your content will result in better leads and greater engagement. Does it fit your brand? Everything you put out in the world should work to enhance your brand. 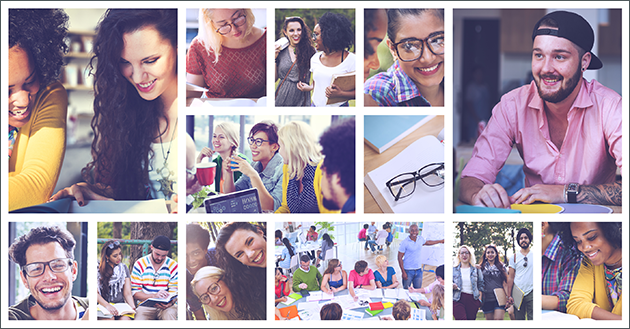 Images that include your company’s name or link to your site tell a story about your company. If you sell fitness products, for example, your images should convey motion and strength. If you’re in finance, they should speak to success and financial security. Is it engaging? A drab, boring image won’t engage your readers. Stick with vibrant, crisp images. Unless there’s a compelling, brand-related reason to do otherwise, use bright, colorful images because color has been proven to increase readership and sales by 80 percent. None of your competitors is using the same image. If you’re using stock photography, there’s a good chance your competition is too. Don’t wind up looking like the copycat. None of your competitors is using a similar image. There’s always going to be some similarities within an industry, but your images should speak to what makes your company different. Unless you sell boats, there’s no reason you and your closest rival should both be running ads featuring men on boats. Find something more original that consumers can relate directly to you. The colors fit your brand. Branding is important, and research shows that colors help differentiate brands from their competitors. Where Do You Find Images? When adding images to your content, you have two choices: create your own or use stock images. Using original photography or a custom design can set you apart from your stock-photo-only rivals and help build a stronger brand. When it comes to product marketing, in many cases original photos are a must because consumers want to see images of the products they’re buying. But creating original images can be time-consuming and expensive, so most companies rely on a mix of original images and stock photography. For instance, if you’re running a weekly blog, getting several original images for each post might not be in your budget, and in many cases stock photography will work just as well. 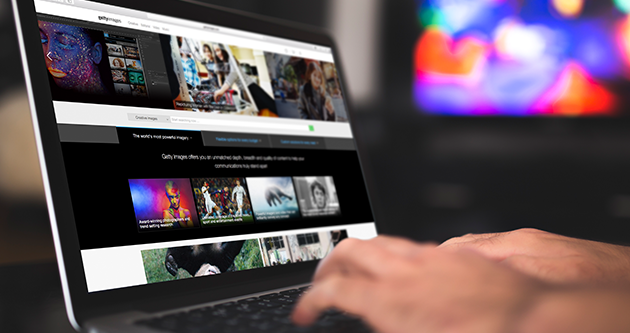 Pixabay: Pixabay offers over 780,000 free images, which you can download in a variety of sizes depending on your needs. Stock Free Images: Another free site, this one offers over a million photos and illustrations, all royalty-free. Shutterstock: Shutterstock requires a subscription, but its quality is generally better, and you get access to over 100 million pieces of content, including photos, illustrations, and icons. 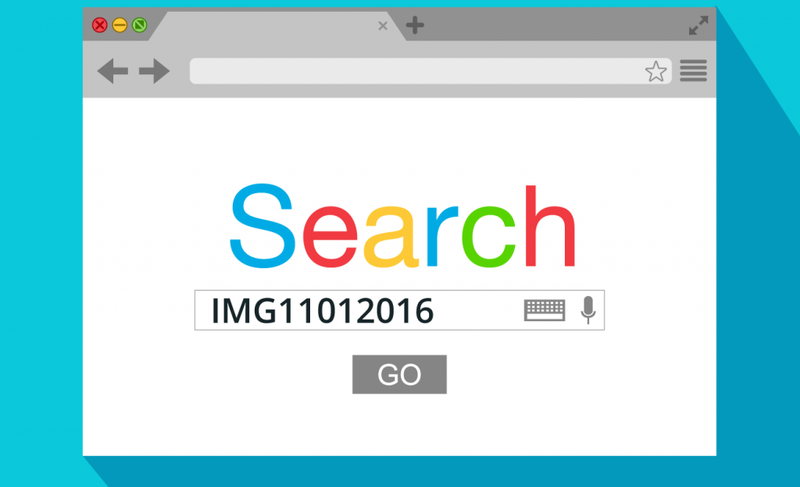 Google and Bing: While you can’t use just any image you find online, both major search engines allow you to filter image search results by usage rights so that you can search for Creative Commons or public domain images. There are many, many more quality photo sites out there, ranging from free, like Pexels, to paid-subscription sites, like iStock and Getty Images. Regardless of what source you use, make sure to review each photo’s usage rights (in most cases, royalty-free photography is going to be your best choice as you don’t have to pay ongoing usage fees), and include attributes whenever they’re required. How Many Images Should You Use? Breaks up the text for improved readability. Provides more options for social media shares and engagement. Of course, don’t just grab every free photo on iStock and add it to your page. Each image you add needs to serve a purpose, to enrich your reader’s experience with your content or to provide information that can’t be conveyed through words alone. For example, if you’re presenting the advantages of your latest marketing automation software platform, using actual screenshots will allow consumers to visualize your product and better evaluate its usefulness for their business. A stock image of someone using a smartphone can help convey the convenience of your app integration. But a generic photo of an agent on the telephone won’t set your product apart from every other B2B product on the market, so leave that one out. Of course, you can always have too much of a good thing. If there are more pictures than text, you’re not giving your readers enough information to work with. Too many images can also increase load time for your page, which can drive users away. 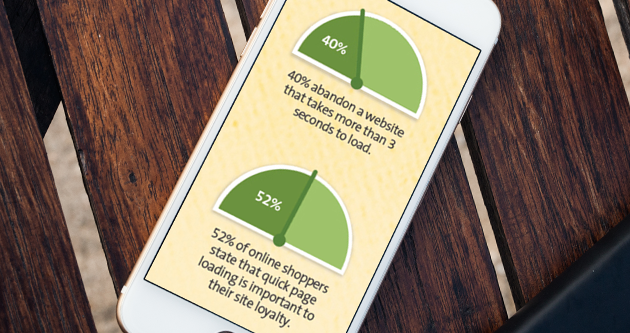 According to this Kissmetrics infographic, if your page takes more than three seconds to load, you could lose 40 percent of your readers. What Size and Quality Images Should You Use? The size and quality you use will depend on your medium. For blogs, it’s best to use images that will at least cover the full width of your publishing screen. Keep in mind that doesn’t mean they have to stretch the full width of your monitor because most monitors are much wider than the reading area for a typical blog. For websites and social media, ePHOTOzine recommends your images be at least 72 pixels per inch, and a picture size of at least 800 x 1,000 pixels, but for exact results check your content management system to see the exact pixel count for your site’s reading window, and make that your minimum image width. It’s okay to go over that size since most tools will condense the picture to fit, but excessively large images will take longer to load. In some cases, you may want to use smaller images. That’s fine, so long as you set a specific pixel width and reduce all images in the post to that same size. Consistency is important; otherwise, your blog will look sloppy and unprofessional. For the one-off smaller image, use right- or left-align, and wrap the text around it. For banner ads, your image should be wide enough to cover the entire top of the screen, without being stretched, while a sidebar ad will be much smaller. The key is to make sure your images never have to be stretched or distorted. If you’re designing marketing copy for a web ad, it’s best to know the exact size of the area you have to work with. Yes! Specific image names will help drive quality leads to your content. Searching for the phrase “Business Phone Solutions” on Google Images will give you pages and pages of images from websites that either sell, review, or report on business telephony solutions. Searching for “IMG11012016” gives you an entirely random mix of pictures. Plus, how many of your target readers would search for “IMG11012016” anyway? Give all your images a name that fits your article, and be specific. Use names that summarize both the image and its usage within the context of your post. “Cute Cat” may perfectly express your image, but “Cute Cat Eating Healthy Pet Food” is more likely to put your image in the top spot of search results from consumers looking for healthy pet food alternative. Proper image names will help interested consumers find your business. When naming images, don’t forget to add alt attribute values. This is the text that will appear in place of the image if for any reason a visitor’s browser is unable to load the picture. It’s tempting just to use the image name here, but you want this to be useful to your reader, and offer some extra SEO benefits. 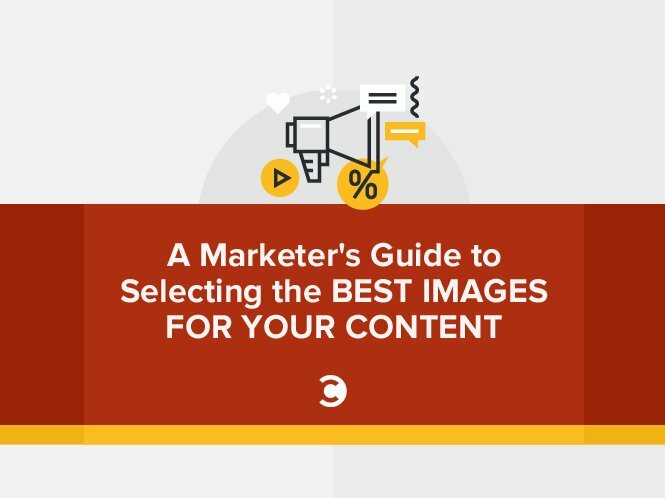 Even the greatest images won’t save bad content, but quality, relevant images can increase traffic, improve engagement, increase conversions, and improve the overall experience for your audience and consumers. There’s a reason we start our children off with pictures books: great images bring stories to life. In the end, that’s all content is—stories. And the right images will help your audience better appreciate the story you have to tell.